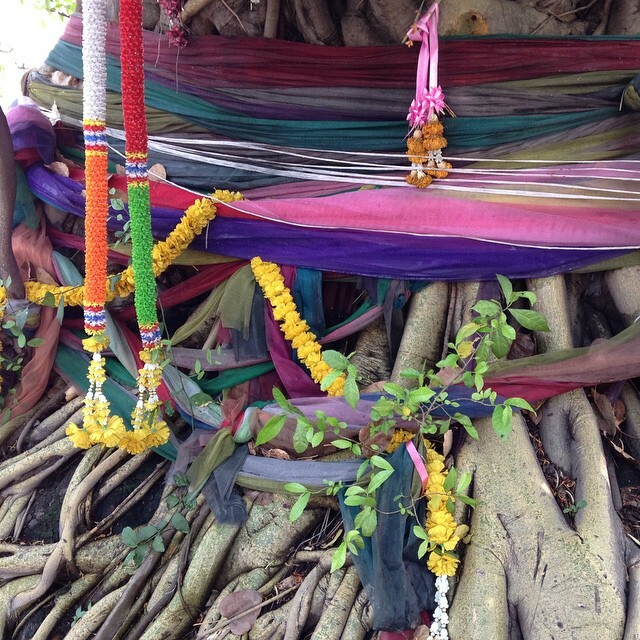 During my trip to Thailand I managed to unplug and relax so much that I got a little philosophical about my life – you know the kind of philosophical you don’t usually have the time for! I realised that I’m not making enough time for creativity. Just being around all those amazing crafters and indulging a lot of my craft curiosities (such as what do you feed an indigo batch?!) has made me realise that, even though life has been so busy, I need the stimulation, excitement and sense of accomplishment that being creative brings. I’m sure you’ve all heard (or read) this before from fellow craft bloggers, and no doubt made these affirmations yourself, but this time I really mean it! 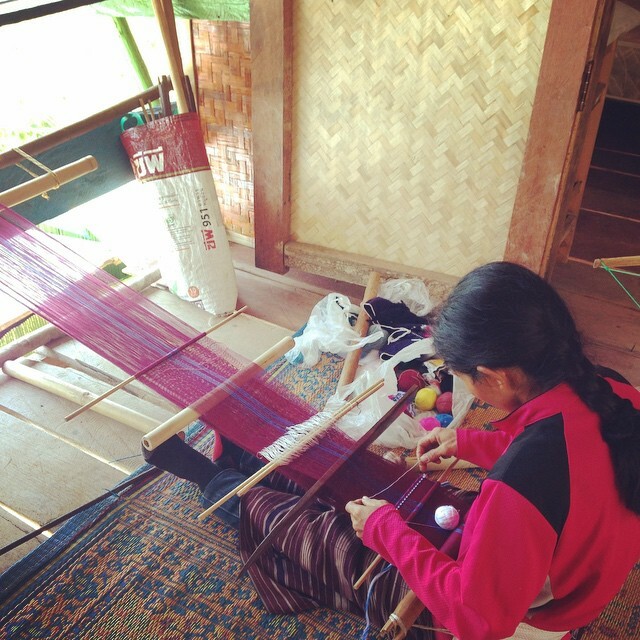 I think I got off to a good start whilst I was in Thailand with a 2 day Karen weaving course. This was my first ever attempt at using a backstrap loom. It was actually really tiring but just so satisfying and peaceful. Just look at this view! We were staying at the fantastic Spicy Villa Eco-Lodge about 80km out of Chiang Mai, heading into the jungle in the mountains. 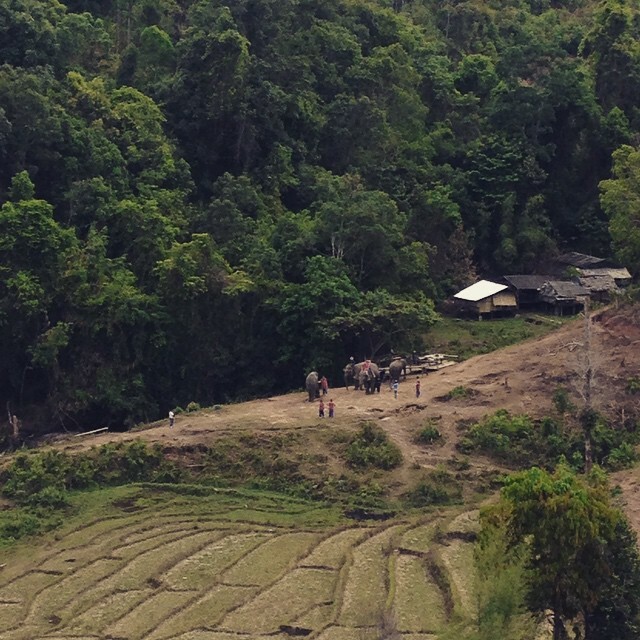 Our neighbours were a mahout school and a Karen village with a view over rice paddies and hills – it was just amazing. We went to the market to buy food for the evening cooking class and then to a small village for the cotton, which admittedly was machine spun but exciting none the less. Then we had to warp the loom. We were working on a bag but to be honest I can’t take all the credit for it – I spent so much time asking questions and admiring my teacher’s technique that she had to weave a lot of the bag for me or it would never have been finished! et voilà! The finished bag, perfect for carrying our water bottles on our jungle hike. 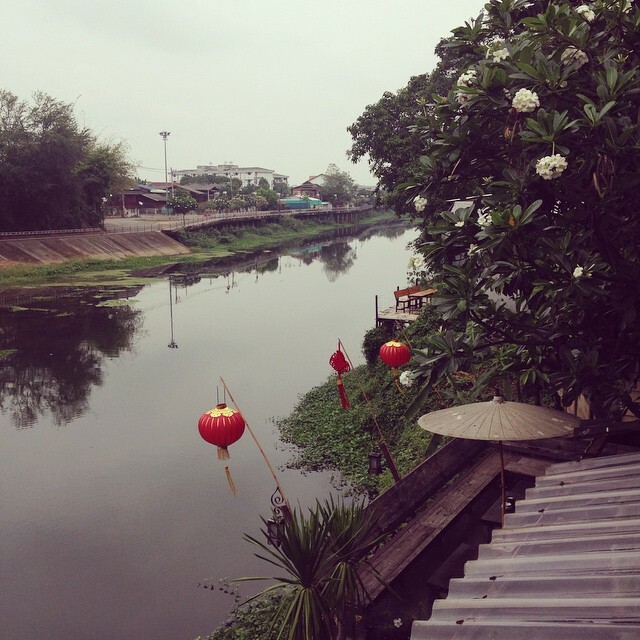 It was such an inspiring experience, just writing this blog post makes me miss the amazing country that is Thailand! Luckily the weaving course included an evening of cooking Thai food with the very knowledgable Samart so now our flat is often filled with the wonderful smells of Thai cooking. What a fantastic thing to do! 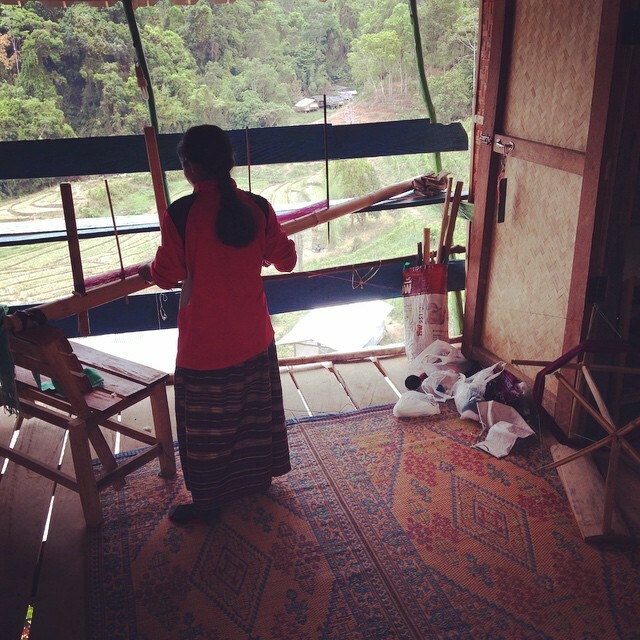 I remember admiring the Karen fabrics when I was in the area many years ago. Of course I had to buy something! It was in my pre fibre craft days, so doing a class wouldn’t have occurred to me. 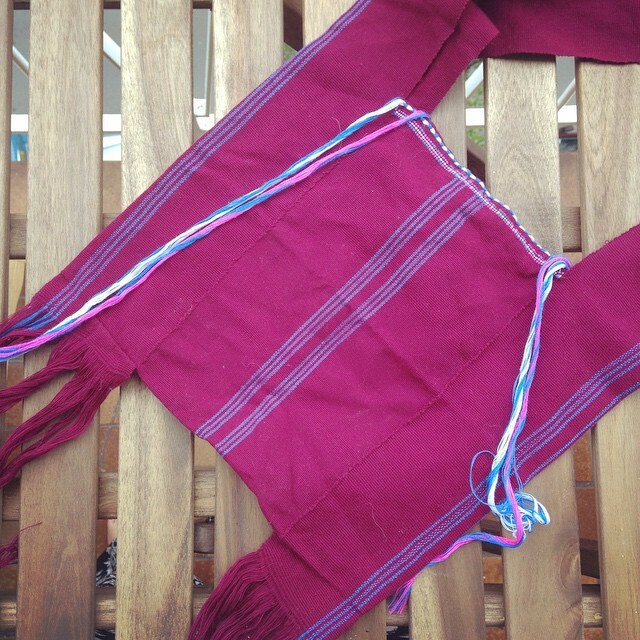 This entry was posted on 26/04/2015 by hedanni (Danni Haughan) in Travel, Weaving and tagged backstrap, Cotton, Craft, Craft Blog, handweaving, Loom, Thailand, travel, Weaving, Yarn.